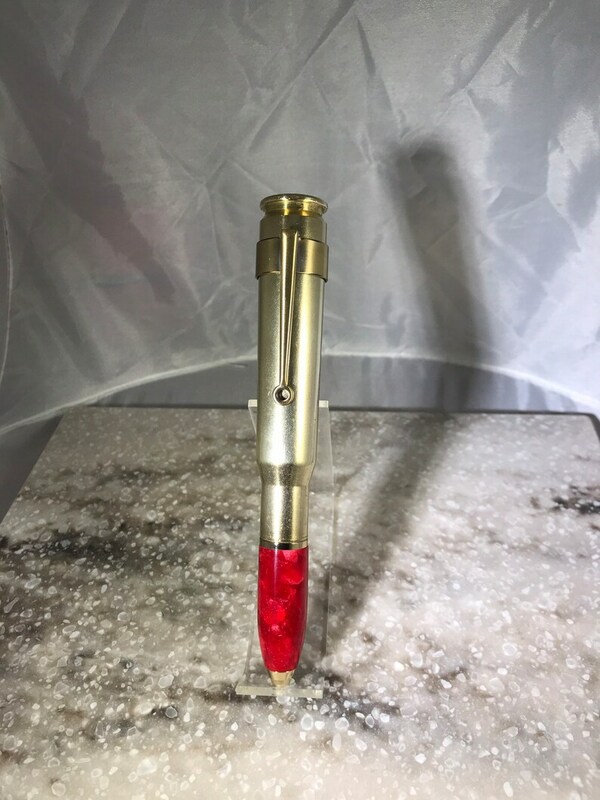 Hand crafted one of kind once fired machine gun twist action pen with red acrylic body. A great gift for any hunter, military or outdoor enthusiast. It is a true once fired brass cartridge which has slight dings and imperfections. Also includes sight scope spring clip. Color of ink is black and uses a standard Parker refill. Total pen length is approx. 5.5 inches. Includes slide out gift box for easy gifting. Stock #22.